All mouse strains and reagents that have been described in publications will be provided on a non-collaborative basis. All mouse strains currently available, as well as mouse strains anticipated to be available in the near future, are listed below. All materials will be provided free-of-charge; however, investigators requesting mice will be required to pay shipping costs. All investigators will be required to complete a Material Transfer Agreement. Please note that the primary restrictions are that materials may not be used for commercial purposes and that materials may not be distributed to a third party without prior consent of Se-Jin Lee. Requests for DNA clones will ordinarily be processed in 1-3 days. Requests for mice will be filled in the order received. 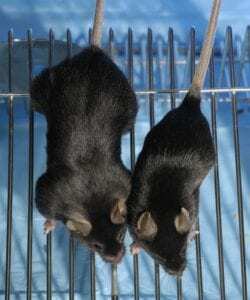 Depending on the time required to complete the paperwork and depending on the availability of the requested mice, the entire process usually takes approximately 1-3 months. To initiate a request, please complete the request form and return by email to sejlee@uchc.edu.